of Max bonded down in Cristmas wrap waiting for someone to give him... Christmas huggies? In any case it was a nice job and keep up the great work I love it so. 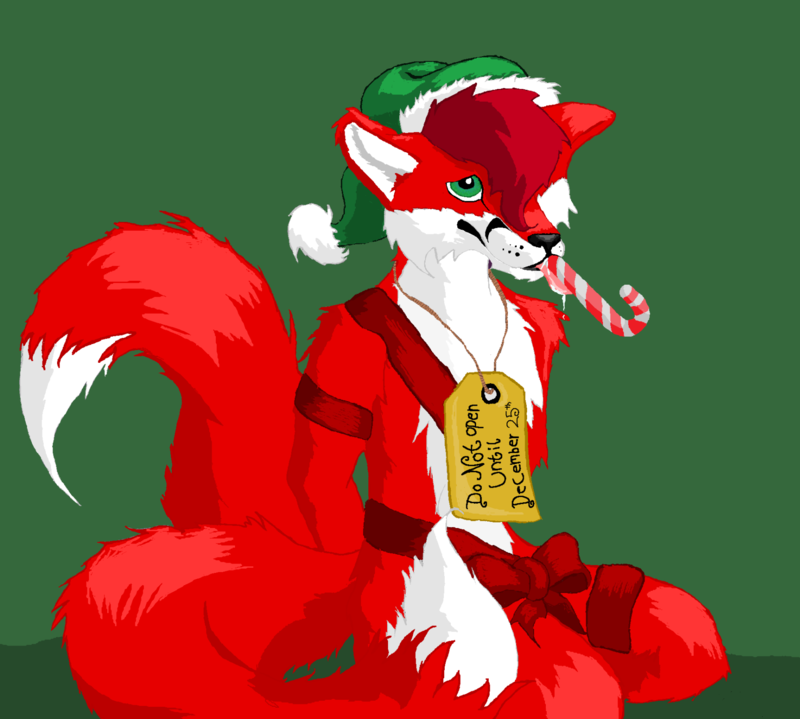 whom was my secret santa and whom I talked to about the art change I've yet to see a reply about what you wanted as an alternative the picture, but oh well guess I'll wait a bit longer.